That sentence popped out before I realized what I had suggested. “I don’t know why you’d do that, good luck!” My brother did not try to mask his Schadenfreude at the predicament I had put myself in. Holidays are supposed to be relaxing and fun, but my family trips are always… stressful. I am still recovering from my traumatic 2017 trip to China. I had brought my household – parents, grandparents, and autistic aunt – on a one-week trip to Xiamen in search of our ancestor’s village. It was the stuff of dramas. There were pre-trip fights, grandpa fell down, grandma went missing, a taxi driver drove off with our luggage, the driver-guide we found in town sucked, and there were tears (mostly mine). That trip was where I learnt that travel burnout is real. So when my parents took up my spontaneous offer for a four-day family trip to Hanoi seriously, I knew I had committed to something I was not ready for. Am I ready for mum’s need to photograph every food, store and stone on the ground? My old man’s grumpiness? Our different ideas of ‘fun’? The mind-numbing shopping, the endless touristic activities and arguments that are bound to happen? No. But I could not take back my offer. That would make me lose the ‘favourite child’ award. But unlike that poorly planned and tiring China trip, this time I am going in ready with everything researched, planned and booked ahead. At least that would make my role as tour guide easier. So Hanoi, are you ready? Here comes a potentially disastrous family holiday. 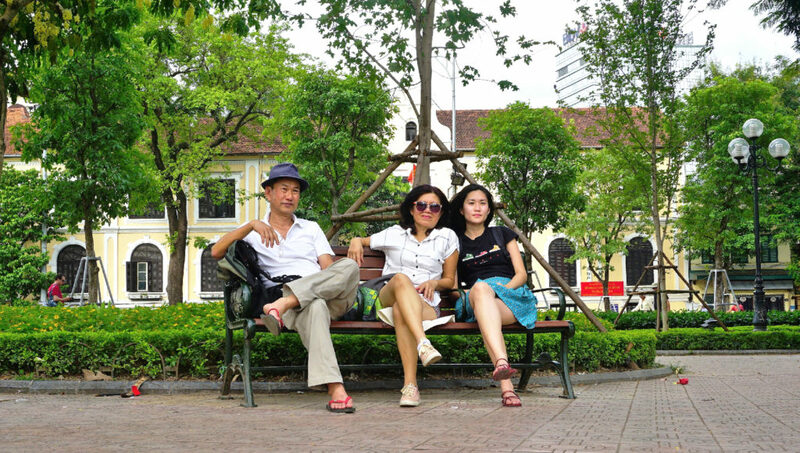 Hanoi turned out to be the perfect setting for a family holiday. 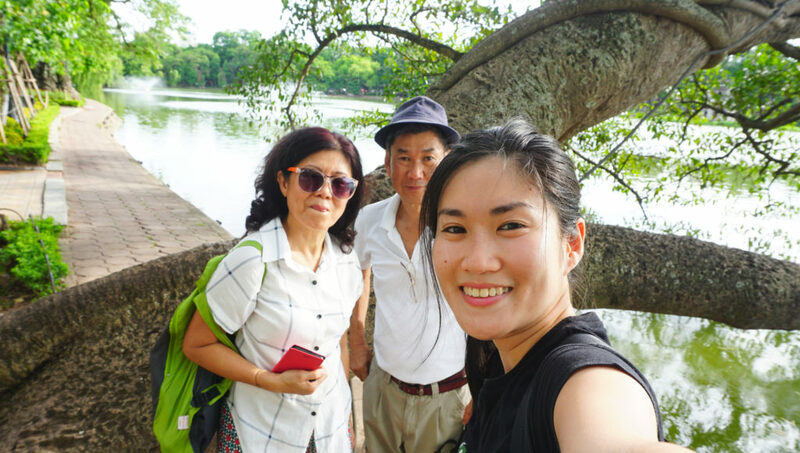 The Old Quarter was filled with shopping that stole my mum’s heart, the many street foods delighted my foodie dad, while the beautiful Hoan Kiem Lake, tree-lined boulevard and gorgeous colonial architecture made me want to discover the city. The drive from the airport to our hotel was filled with interesting scenes – men getting haircuts under a tree, women in conical-shaped hats carrying their body weight in fruits on bicycles, people hanging out at street corners filled with toddler-sized plastic chairs. Yet here I was, stuck in the crowded tourist center looking at the same souvenirs they sell in Bangkok and Kuala Lumpur. “Let’s go,” my restless heart itched. “Let’s get away from the tourist market and find something interesting,” it yearned. I silenced my heart, put on my patient smile and trudged on behind mum and dad to look at the 89th bag store of the day. 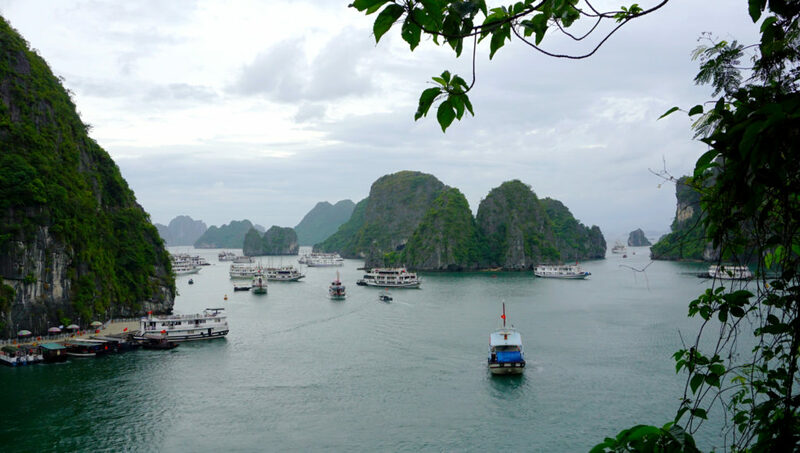 That first night while we sat on one those toddler-sized plastic chairs tucking into banh mi and egg coffee, I grew excited at the next day’s activity – a 2 day, 1 night cruise to Halong Bay. Mum pointed to the many tour offices here selling tours to Halong Bay but I was smug. I had already pre-booked the cruise on activities booking platform Klook. I had learnt from my mistake during my poorly researched trip to China – always pre-book tours and pre-plan everything! 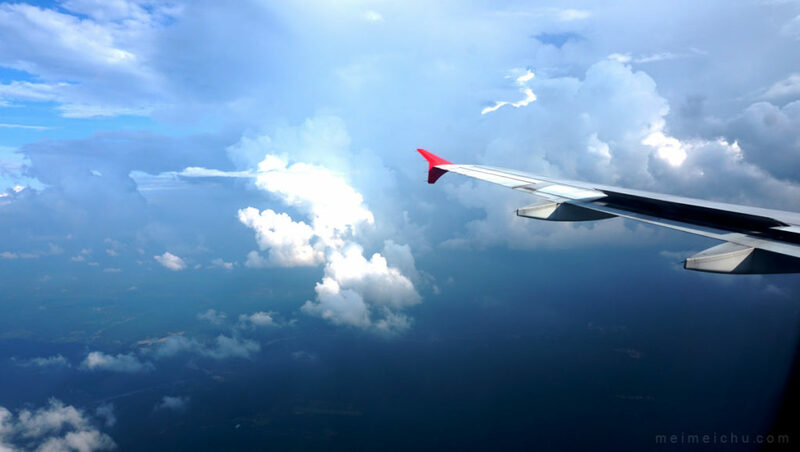 Klook turned out to be an affordable and trustworthy ‘travel agent’. It sorted out everything for us and saved me two days of itinerary planning. All we had to do was pack our bags and wait to be picked up at our hotel. 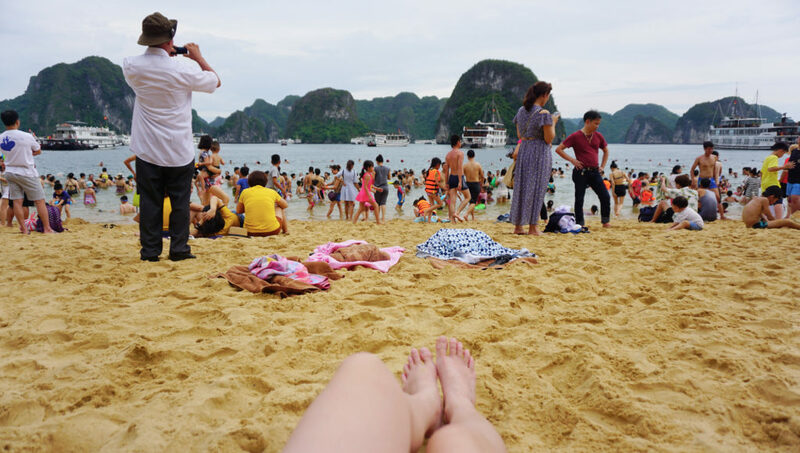 That afternoon on the cruise boat surrounded by the breathtaking limestone karts of Halong Bay, I watched with envy at a group of travellers my age having the time of their lives. At my quiet lunch table, mum was taking photos again, dad watching a video on his phone. 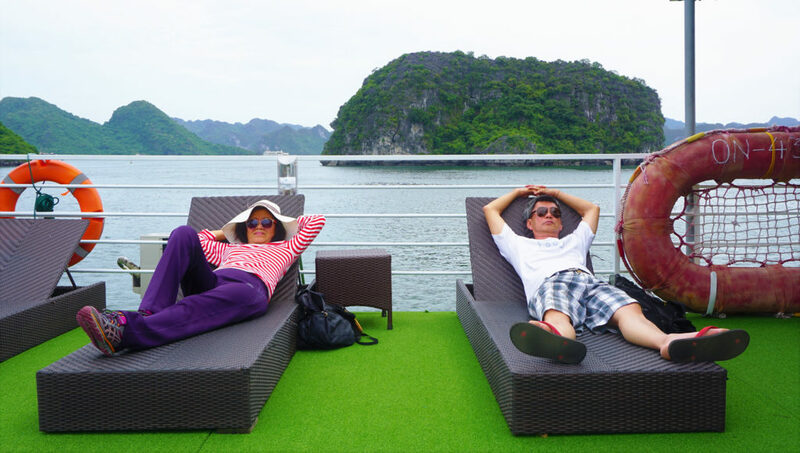 The cruise was slow and easy, perfect for my parents – chilling in the room when it’s time to rest, eating when it’s time to eat, sightseeing when we arrived at one of the beautiful bays and caves. I, however, was agitated. The crowd was suffocating, I wanted to get away. It was the weekend and it seemed like all of Vietnam have come out to play. I wanted more time at the bay, more time at the cave, I wanted go further, deeper and faster… until one fellow traveller from the lunch table told me to slow down. Ti Top Island in Halong Bay. Taken 2 minutes before a kid kicked sand in my face. The moon was shining and my parents had retired to their room. I had finally found some alone time. Chilling on the sun deck dwarfed by the impressive shadows of the hills, the group of travellers from the lunch table asked me about mum and dad. “I like them! They are adorable! Your mom takes so many photos, it’s so nice to see her so excited about everything. My parents are so serious, they would never be like that,” Grace, a Korean, exclaimed. “Your parents are so cool and open. They ask so many questions and are so interested in other people,” Hameed, a Saudi Arabian said. Earlier during dinner, I had smiled apologetically as mum ‘interviewed’ him the way Asian aunties do. My face grew red. These strangers appreciated my parents more than I did. They seemed almost jealous, as if I had achieved something they could never do with their own parents. “If I asked my mum to travel with me, she would have so many question marks in her head. She would not join me. I see you travelling with your parents and I’m like ‘wow, someone is achieving my dream.’ It’s awesome. It makes me feel happy. You spent so much time with your parents today, and now you have your alone time with us,” said Khaleed, another Saudi. Even before this trip had started, I had whined about travelling with my parents. “Wish me luck,” I’d tell my friends. “Good thing it’s only four days,” I half-joked. It was never because I was unhappy to spend time with them, but the whining was something I did unconsciously to downplay the fact that I’m here with my 60-odd-year-old parents. It just didn’t seem cool. My mum and dad didn’t seem cool. Mum takes too many photos and isn’t very adventurous; dad has too little patience and is always on his phone. They are the best parents in the world, but I had never seen them as “cool”. My parents on every family trip: Mum forcing dad to pose, dad complaining yet obliging at the same time. 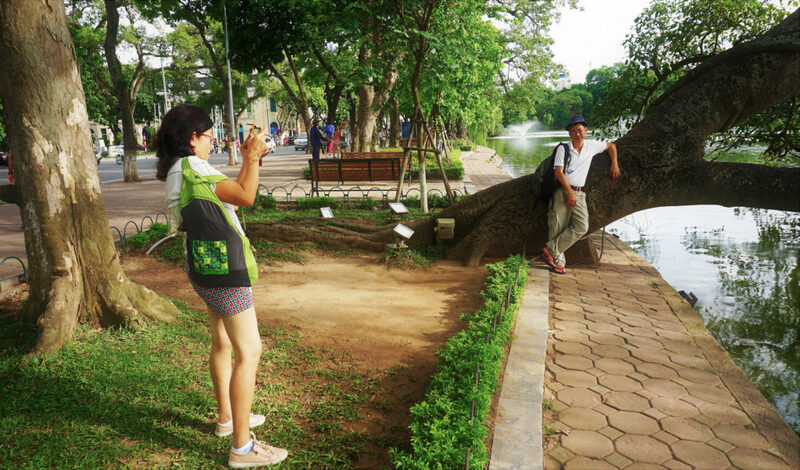 Taken at Hoan Kiem Lake. Yet that afternoon, they had pushed themselves to climb up Titop Hill to see a bird’s eye view of Halong Bay with me when they could’ve just lazed on the beach. It was 20-minutes of uphill steps, a feat even for a young person. Armed with a bottle of water and each other, they walked up step-by-step until they met me at the peak. Dad even did it barefoot! They were heaving and panting when they reached the top, but still managed to spot a Cheshire Cat-grin for the camera. 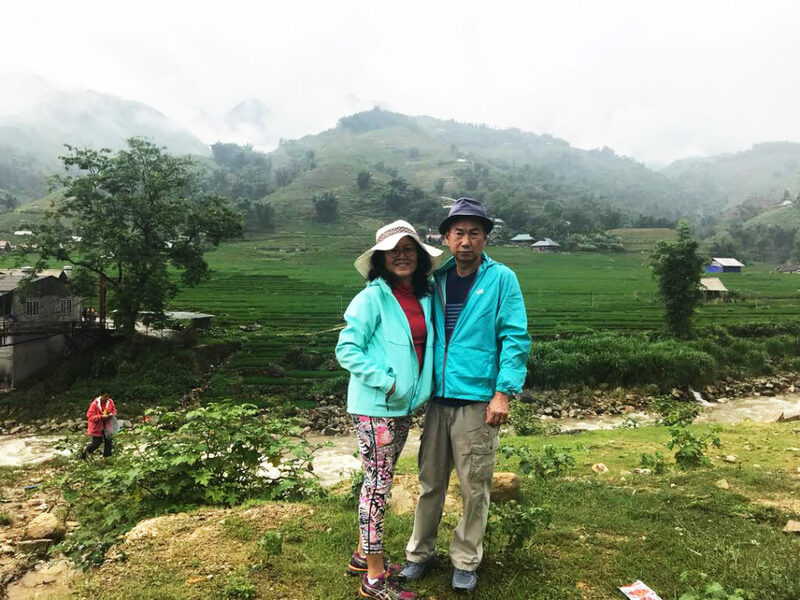 Mum, who had done multi-day hikes zero times in her life, had also agreed to embark on a 2 days, 1 night hiking trip to Sapa Valley with dad. It took much persuading, but she hesitantly agreed when I said Sapa Valley had always been on dad’s bucket list. 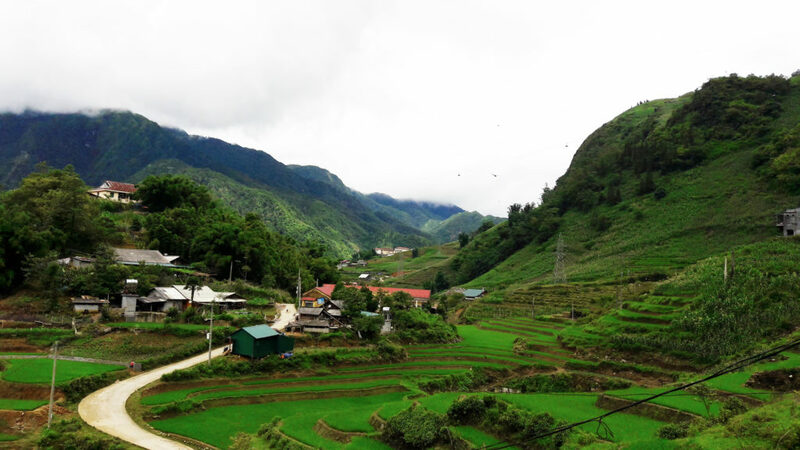 After I leave Hanoi, mum and dad were to stay back for 4 more days to hike Sapa Valley without me. I was proud yet worried when I booked the tour on Klook, but they seemed ready. I guess that is pretty cool. 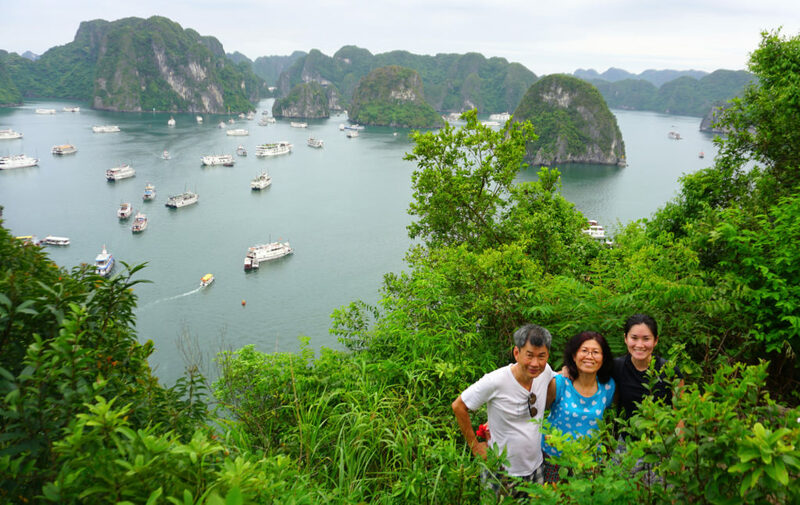 Mum and dad; champions at the top of Ti Top Hill in Halong Bay! The 4th can of Hanoi beer made it easy to admit that I needed to learn to enjoy the slow moments with mum and dad. Family trips are more about rediscovering each other than it is about sightseeing. What I also hadn’t realise was that my two old folks have had to get out of their comfort zones and put on their games faces for their restless daughter. Impromptu adventures are not something they are used to, but they kept up with me even when on our last night, I suddenly said I wanted to visit a local wholesale flower market and a wet market. They didn’t understand getting out of the beaten path to experience the local but not so exciting parts of town, but went along with my nonsense anyway. And any spoilt daughter would, I decided to push it a little further. “Let’s just walk around aimlessly”, I said. I sensed agitation of being in the middle of nowhere with nothing much to see, but mum and dad patiently waited for me to tell them which way to go. Do I know which way to go? Hell no. I was doing what I always do when I travel solo – wander aimlessly until I find something cool. And we did. It was a Sunday night and we stumbled upon a hive of activity at Hoan Kiem Lake. It was like a festival, the streets were cordoned off from cars, but little Vietnamese children were wheeling about in little toy cars. It seemed as if everyone in Hanoi was here playing speak takraw, busking, drinking, painting, strolling, eating, shopping, laughing, playing. Dad was tired from allergies, but mum and I was drunk from the bustling atmosphere. As my taxi left the curb, I turned around to see my two old parents fumbling with a map deciding where to go next. 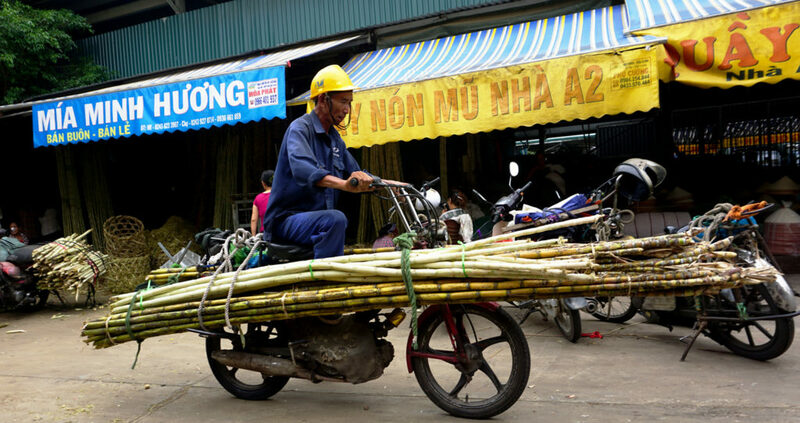 They have four full days ahead of them without their nagging daughter, and Hanoi is their oyster. Where will they go? What will they discover?! My parents had always followed big group tours, and the thought of them travelling independently made me proud. Little did they know, I had achieved a tiny secret mission – to show them a taste of how I travel. And to show them that they too can explore the world independently. Most importantly, I hope they could understand me a little better and worry less when I speed off on my next solo journey. I won’t lie. There were a several small arguments during our four days together. Over stupid things like whether we should take an extra map or whether we should cross the road to take the taxi. But no one cried on this trip, and by my standards, that is the mark of a successful family trip. So mum and dad, now that you are back from Sapa Valley, can we all agree that I am the favourite child? Reduce the number of people: The less people there are, the less people to worry about and make happy. This trip had only mum, dad and I; more than enough contrasting personalities to ignite an explosion. Reduce the number of days: Is there such thing as spending too much time with family? Yes, there is unless you live in a Disney movie. For my family, approximately four days was long enough for us to enjoy each other’s company yet short enough before we start annoying each other. Plan, plan, plan: This sounds like a no-brainer but I struggled with this. I hate planning for trips (where’s the fun in that?) but for the first time in my life, I had an excel sheet of our holiday itinerary. Having an itinerary helped me to organise our time and manage expectations of what to do and when to get ready. 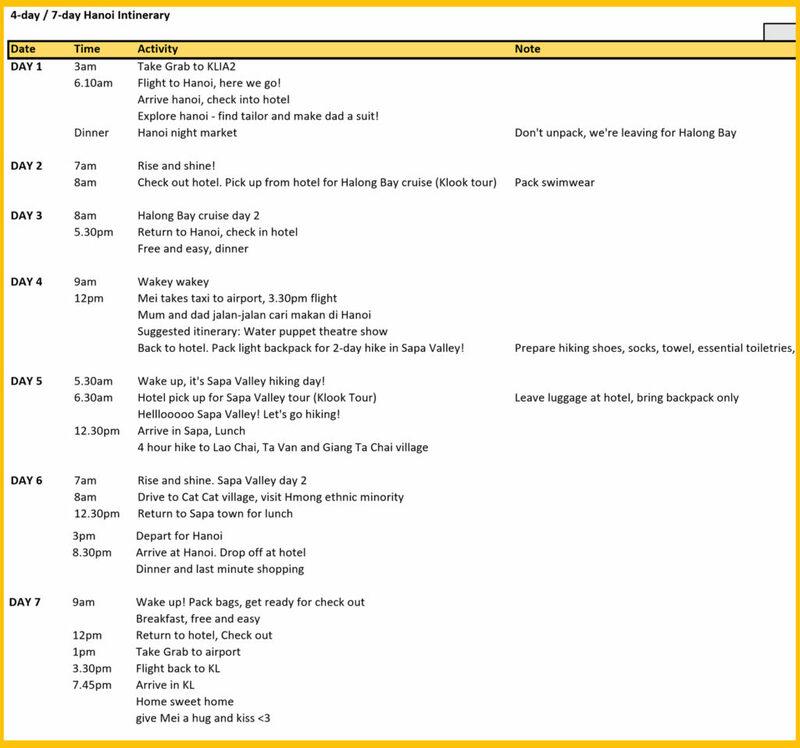 Here’s our 7 day itinerary for Hanoi. Pre-book tours and activities: If you are planning to do some special activities such as a cruise or a hiking trip, pre-booking on sites like Klook is really helpful. Shopping for a tour on location is a hassle and takes up precious sightseeing time; not the best option when you’re travelling in a group. Booking ahead can also help to manage your itinerary better. 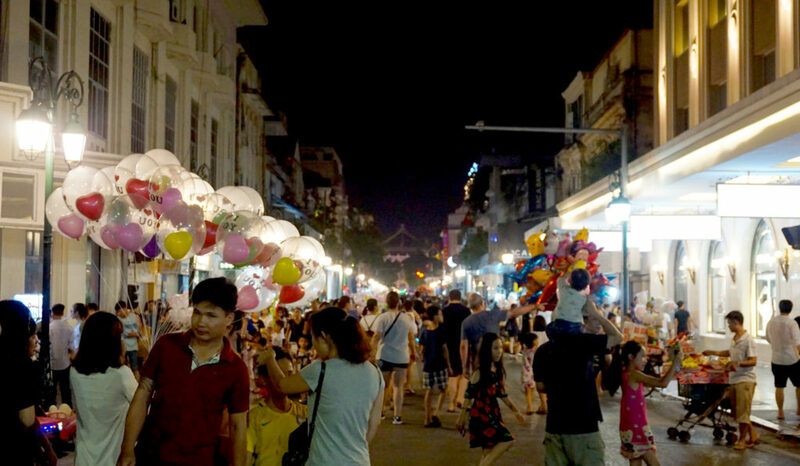 Plus, you can browse for fun activities such as cooking classes or street food tours to fill up your itinerary! Fun for everyone: Personalise your itinerary so everyone have something to look forward to. IE: Shopping for mum, hiking for dad, museum tour for the culture vulture brother, etc. Split up and do your own thing: You don’t have to do everything together all the time. You can have days where you split into smaller groups to do your own thing, and meet up for dinner at night. Forgive and forget: It is natural for arguments and tension to arise, but you need to be the bigger person. Be prepared to forgive and forget immediately, or risk tainting the happy holiday with a bad memories. Rediscover each other: Take time and enjoy slow moments to observe your family, learn new things about them, and grow new appreciation for them. Disclaimer: I got in touch with Klook to help make this family trip stress-free. 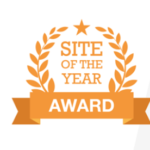 The good folks there even scored me a special coupon code as a gift to you! Crossing a border into someplace new always gave me a jolt of excitement. That first impression could be warm like a hug, polite like a handshake, or rude like a middle finger. Somaliland, however, felt like a punch in the face. Was this whole trip a big mistake? For the first time in my life, I considered flat-out giving up on a country – and it hadn’t even been 24 hours. When Malaysia Airline’s inflight magazine Going Places asked me to recommend where their readers should travel to in 2019, I thought long and hard. Among all the countries I have backpacked, what is the one place I would recommend my friends and family to go? Where is the one travel destination that I would gladly return to? Egypt. My heart is yearning for fascinating African nation of Egypt. Like what you've read? 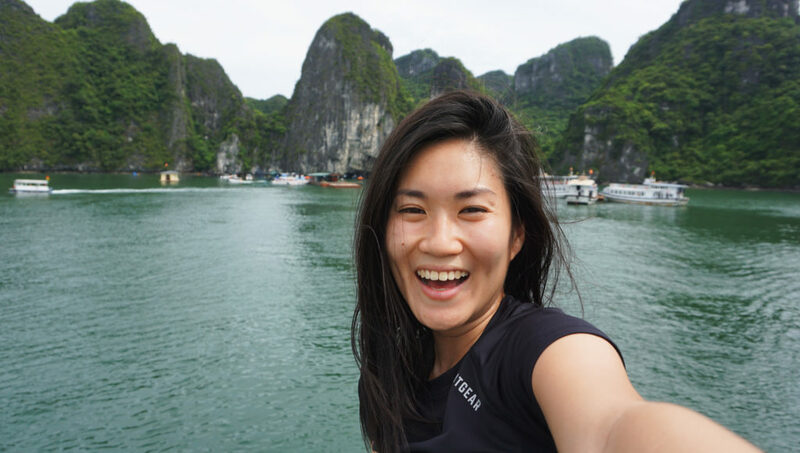 Get spam-free notifications of my latest travel stories! Some blogposts may contain affiliate links to relevant products. This does not cost you extra.